Educators play a huge role in preparing students for the Career Expo. Educators help students practice doing informational interviews through role-playing scenarios and activities. They also guide students through career-interest surveys so students can determine which companies to spend their time with at the event. 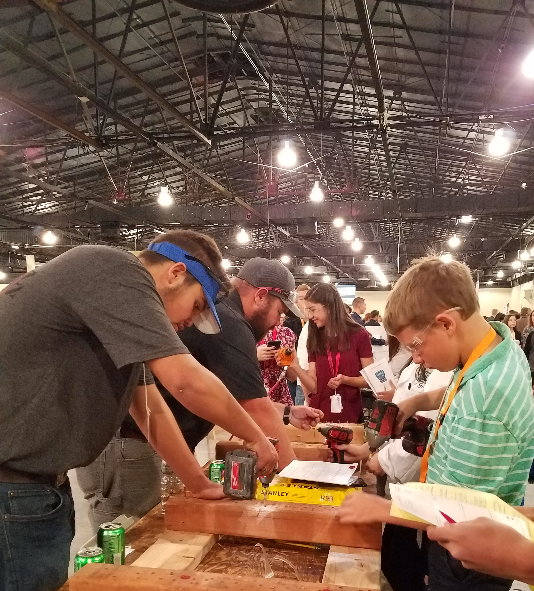 The 8th Grade Career Expo is the first in a line of programs offered by ACEC to help students relate to the real world of work. Before the event, students will take a career interest survey and work with their counselors/educators to prepare. They will be given business cards to network with professionals. At this event, students are expected to engage with 3 business professionals and at least 1 continuing education representative. 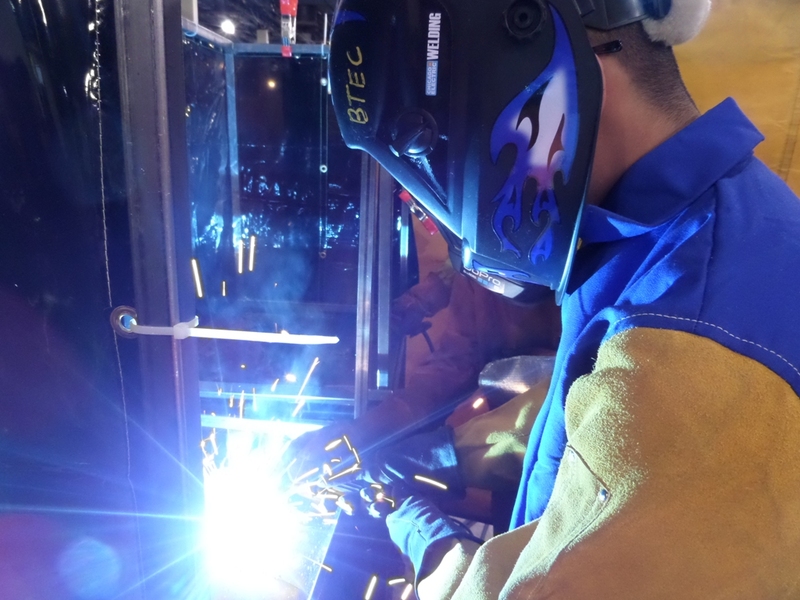 During the event, employers rate the students who demonstrate professionalism. After the event, ACEC awards the students who were ranked the highest by professionals. Business and community support ensures that this event can be brought to the entire county every year. Corporate and small business sponsorship helps cover event costs and brings a high level of visibility to organizations. Event sponsorship demonstrates a commitment to ensuring all Adams County 8th graders are exposed to opportunities for their future. Represent your industry as the Industry Lead Sponsor with Industry Lead Sponsor signage, featured logo placement on printed materials and ACEC website, preferred banner placement (2 banners provided by the company), prominent table placement, verbal recognition during the event and an article about the Career Expo that you may personalize and use to promote your support of the event. Includes up to 4 tables and 8 lunches. Represent your industry as a featured sponsor with Spotlight Industry Sponsor signage, preferred logo placement on printed materials, preferred banner placement, ACEC website recognition and prominent table placement. Includes up to 4 tables and 8 lunches. Join the Spotlight Industry Sponsor as a premier industry partner in education. Enjoy preferred placement for your company banner, preferred logo placement on printed materials, and website recognition. Includes up to 3 tables and 6 lunches. Show your support for building the workforce pipeline and enjoy the benefits of having your company banner and logo be seen at the event, on printed materials, and on the website. Includes up to 2 tables and 4 lunches. 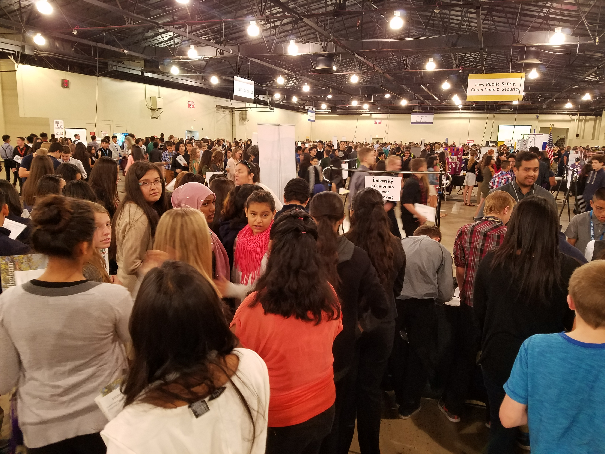 Represent your company and its career pathways to 6,000 8th grade students! Includes 1 table and up to 2 lunches. Represent your nonprofit and its career pathways to over 6,000 8th grade students! Includes 1 table and up to 2 lunches. EXPAND THE BOXES ABOVE TO LEARN HOW TO BE INVOLVED IN CAREER DISCOVERY! 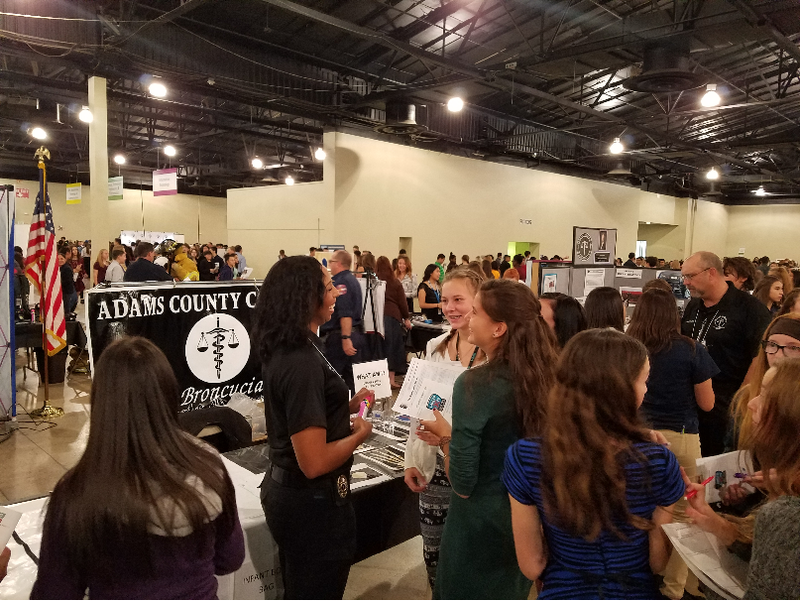 In 2005, the Adams County Commissioners’ Career Expo became the first youth career expo of its size along the Front Range. It has since been replicated by Denver Public Schools and Douglas County. 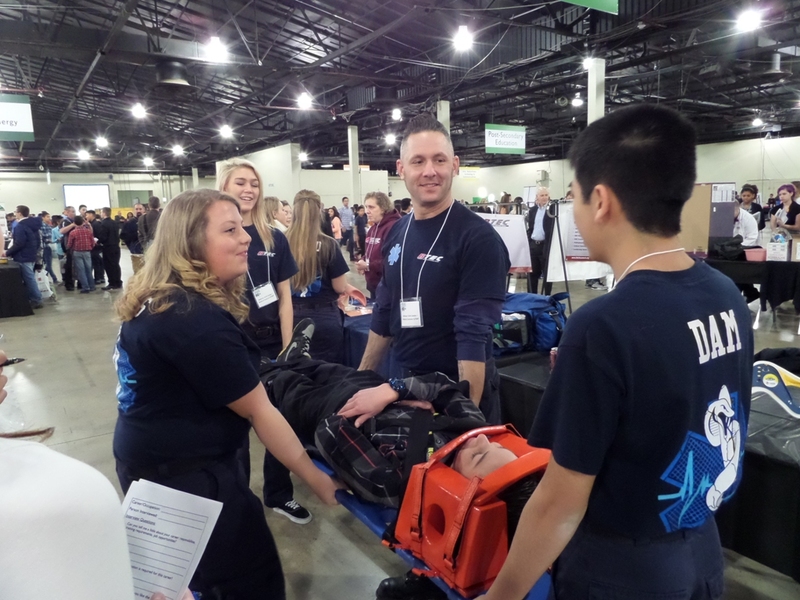 Regional and local partners recognize this event as a pivotal introduction for 8th graders to professionals representing career options in most of Colorado’s Industry Career Clusters. CREDIBILITY: Of the Front Range expos, business professionals acknowledge Adams County students for their preparation and good behavior. 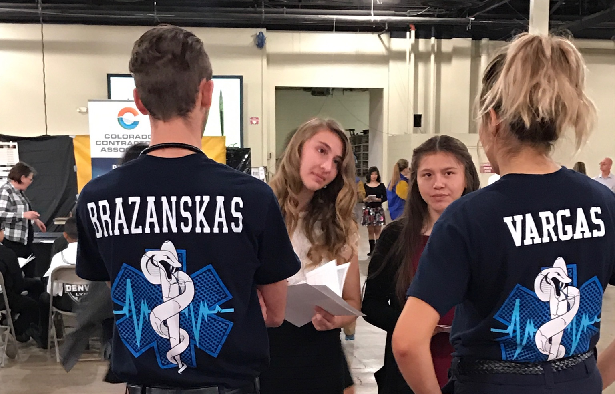 PREPARATION: Educators have been trained to prepare students with tools students need at the event such as: interviewing skills, handshaking, making positive first impressions, and exploring careers of interest. Employers recognize the top 10% of students. At the end of the event, ACEC recognizes the students who were recognized by employers as being the most professional, thoughtful, and prepared. The highest rated is presented with an award at the Adams County Commissioners' Public Hearing.